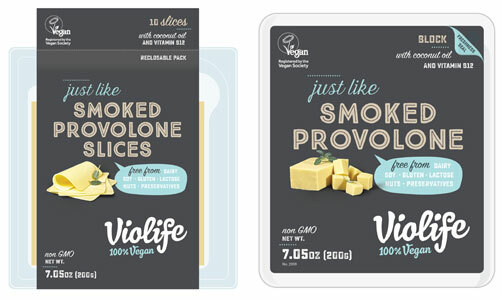 For those who enjoy classic cheese flavors, Violife Just Like Smoked Provolone slices are the perfect choice! Creamy, versatile and delicious, the easy-to-peel slices give you the pefect topper for your favorite sandwiches, flawlessly replacing real provolone in your recipes. 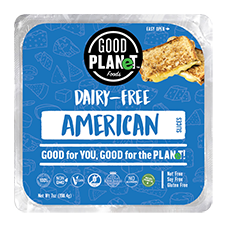 The perfect option for vegans and vegetarians everywhere, Just Like Smoked Provolone is GMO-free, dairy-free, lactose-free, soy-free, gluten-free and preservative-free. Available in 7.05 oz. (200g) packs of 10 individual slices are $4.99 per pack. I didn't like the provolone at all. No smokiness to speak off. Off flavor. Not for me. From Anonymous of Los Angeles, California on 8/31/2018 . 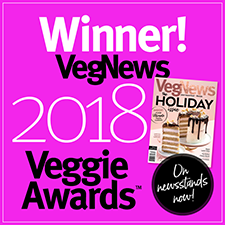 This really surprised me and my meat and cheese loving 76 year old father! We tried a slice straight out of the package and he said he wouldn't have known it wasn't real cheese! And he's a tough sell. I loved it too and am totally sold :) Would love if they could make an organic version!! From Kathy Shoemaker of Georgetown, South Carolina on 3/23/2018 . YUM YUM YUM... awesome taste and texture! I use this for cold as well as hot sandwiches. From Richard Rankin of La Plata, Missouri on 10/5/2017 . I got the slices for sandwiches, and this is exactly like the 'real' stuff I used to buy from the deli section of the supermarket. Lightly smoked, totally creamy. Loved it. Maybe next time, I'll try it on a pizza, which should be epic. From KIM KAPPLE of VISTA, California on 7/21/2017 .